NEW YORK (Reuters) - The prospect of a near-term bankruptcy for solar giant SunEdison Inc(SUNE.N) also threatens the separate companies it created to hold renewable energy assets - the so-called "yieldcos." The companies - TerraForm Power Inc (TERP.O) and TerraForm Global Inc (GLBL.O) - will likely avoid bankruptcy but may not escape unscathed, analysts and restructuring experts said. A judge could rule that the yieldcos must be included in a SunEdison bankruptcy, analysts said. The companies could also be sold. Either way, a potential SunEdison bankruptcy filing would be unpredictable for the yieldcos because all three companies are so intertwined. 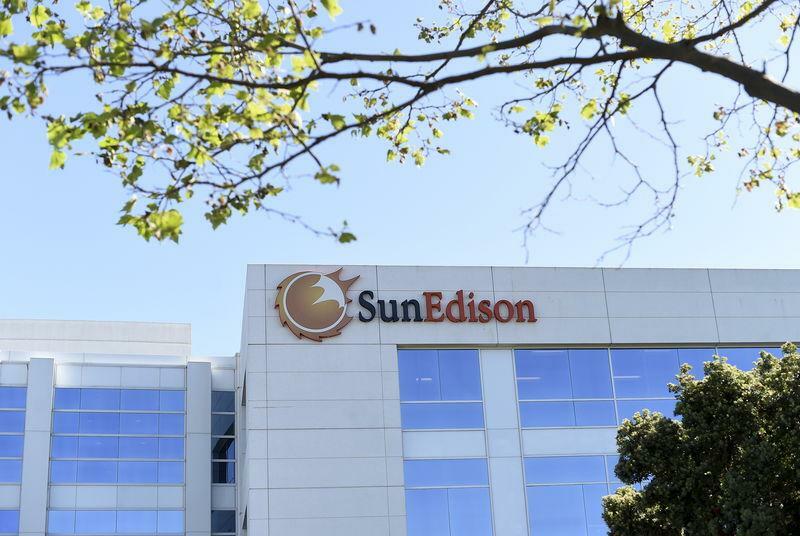 The filing could come as soon as this week as SunEdison reaches the end of a grace period set by lenders stemming from its delayed annual report. TerraForm Global and Power said in a joint statement to Reuters that the companies "do not rely substantially on SunEdison for funding or liquidity" and can support their operations on their own. A SunEdison spokesman did not immediately respond to requests for comment. SunEdison controls TerraForm Power and Global by holding the majority of their voting shares. On their own, both companies have stronger financials than their parent. TerraForm Power, the larger of the two companies, recorded profit of $2.4 million and debt of $2.5 billion at Sept. 30, 2015, according to its most recent quarterly report. TerraForm Global reported a loss of $82.9 million and $1.2 billion in debt the same date. The companies are valued for the dividends they pay to investors. Their shares closed Tuesday at $9.52 and $2.58, respectively, compared to SunEdison's at 40 cents. The companies' original relationship with SunEdison gave them call rights - essentially right of first refusal - on projects in the Edison pipeline. But the future of those projects is in jeopardy because of SunEdison's financial problems, which also threatens the yieldcos future revenues. A SunEdison bankruptcy could further dampen the yieldcos' prospects. SunEdison has not transferred projects in Uruguay and India to TerraForm Global on time, the yieldco said in public documents. TerraForm Power, focused on domestic markets, may also be at risk of not receiving projects as SunEdison tries to sell off assets in Colorado. "If the yieldco never receives any additional assets in the future, they're stuck with limited income every month, as the sun shines and wind blows," said Jeffrey Osborne, an analyst at Cowen & Co who covers SunEdison. A SunEdison bankruptcy could also cause defaults in the credit agreements at the individual projects for TerraForm Global and Power, but the banks are unlikely to call in the debt as long as the projects are performing, said Swami Venkataraman, an analyst at Moody's Investors Service Inc. The yieldcos also rely on SunEdison to make interest payments for them - longstanding arrangements worth tens of millions of dollars each year. Those agreements could be nixed in bankruptcy, according to a public filing, leaving both of them to fend for themselves. Both companies, which have no employees of their own, also rely on SunEdison for back office functions. But hiring staff, Venkataraman said, would not push either yieldco into bankruptcy.